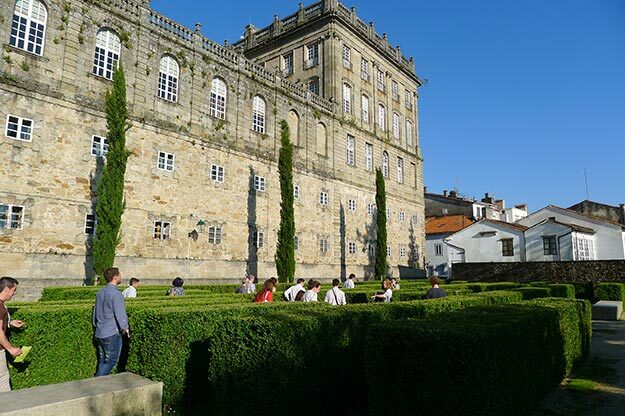 To close this course, and on the verge of entering in the summer epoch, that better plan that to be able to fulfil a tour for different cities or for remote numerous peoples examples of architecture that deserve to be visited and spread by the whole Galicia. For it that better realize these tours of the architects’ hand what us guarantees a deep knowledge of the architecture and the local construction. 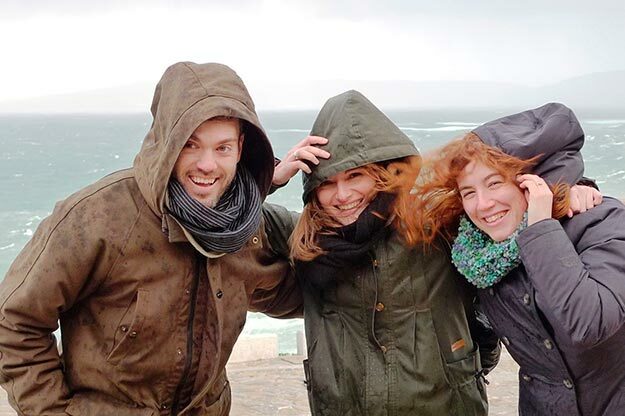 We approach up to Santiago to chat with three integral young persons of GA Santiago, Cristina Ansede Viz, I travel Vilanova Rodríguez and Alberto Quintáns Arrondo. 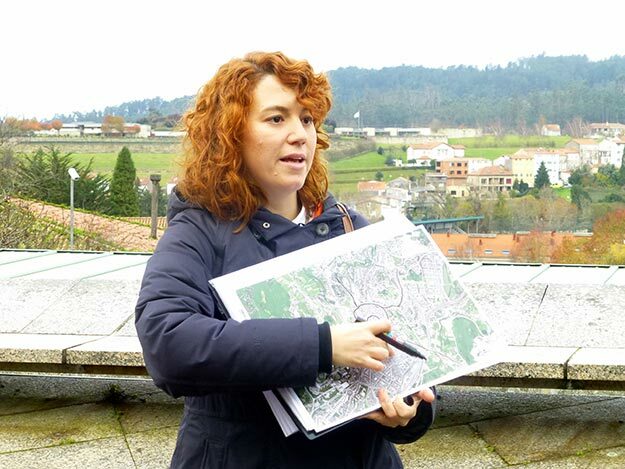 GA Santiago is the local member in Guiding Architects’s Galicia, an international network of holding a permit routes of architecture integrated by independent companies that offer tours guided by professionals in each of his locations. 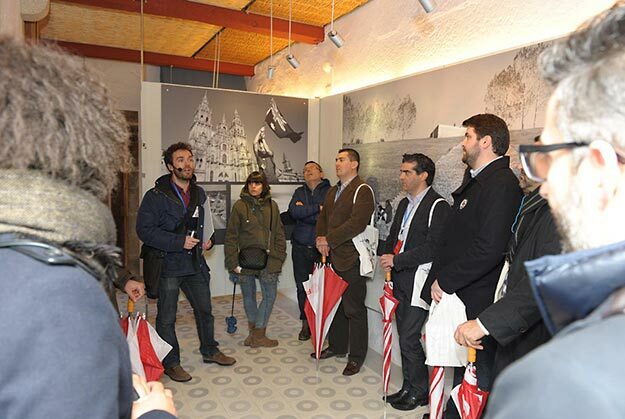 Ado we leave you with the interview that they granted to us a few weeks ago in Santiago de Compostela. Explain to us, how and why the “GA Santiago”? We were feeling that there was an emptiness in the diffusion of the contemporary Galician architecture regarding the tourist sector. In addition we knew Guiding Architects, a network activates of guides of architecture worldwide formed by architects who explain his cities or regions with the architecture and the urbanism as conductive thread. We what we have done is to include the Galician architecture in this map of destinations. For it we had to present the candidacy of Galicia and overcome several tests, both of aptitudes and of means. Finally in February, 2014, in GA’s annual meeting, in this occasion in Copenhagen, we were admitted as new members. Not. In this respect the requirements of the network are that the partners are professional in assets in the field of the architecture. Of this form we can transmit a more complex reality of the architecture and the urbanism, which includes all the processes that generate it. The principal difficulty was, once accepted by the network, to verify that the current legislation of tourism does not contemplate the specialists’ existence beyond the historical – artistic thing. Though what let’s let’s want to explain is a constructive system or an urban strategy, for example, we must be for official guides if we cross the environments of a BIC. Yes. To consolidate Galicia as destination inside the network, it is a long process in which we are immersed. But we can say that the result of this first year has been very positive. We were possessing an exclusively foreign client, considering the statistics of the network, and we have surprised the interest showed by entities and local companies. What expectations and projects of future you have for “GA Santiago”? 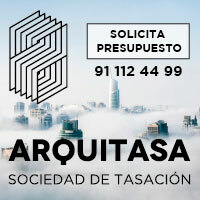 To consolidate ourselves as Guiding Architects’s destination and at the same time to establish local links with the aim to propose activities for a nearest public. For us since we are still establishing as destination, it is prompt to determine the profitability of the initiative. For what we know of of our partners, this process can go years even turn materialized. The network works and continues growing, so in this respect we are optimistic. In addition on having belonged to an international network we have the possibility of entering on other markets and of not losing the a bit less pessimistic global vision. We detect the same difficulties that in the exercise of the liberal profession though it is true that considering the responsibility of the work of an architect, the work as specialized guide yes that is remunerated well. Camino Vilanova during GA Santiago’s itinerary. We arrange both activities, that of our studies with this one. Probably this alternative would not have happened to us if it was not for the current situation of the architecture. 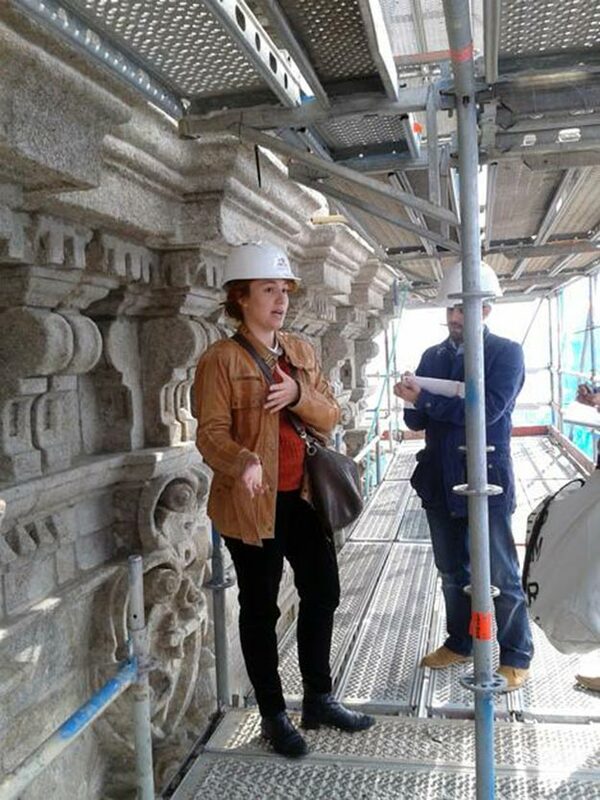 Though now that we are inside, we would not like to leave her if the panorama improves, because it keeps us connected with other architects and because we think that to speak on architecture and to explain it is a very wealth-producing process. It forces us to reconsider and target many expositions that we were giving made. It is not a question of belief, is of need, for architects or for any other profession that one finds in the same situation that ours. This one is a question that the architects we have debated widely in the last years. From our particular vision, sometimes there gets confused the extent of topics in which we are formed with the capacities that we have. In our case we have looked for an activity that it has to see with our formation, but other many companions devote themselves to other topics for a personal vocation that is not learned in the school of architecture. What seems to us to be perverse is you presuppose that all, for our architects’ condition we can devote what is. For our experience, on having got into a field into certain way foreign to our one, we are learning a new profession, with everything what carries it. Would it encourage other architects to follow your steps? What steps do you consider that they should give? How to complete his studies? What other advices would you give them? We would encourage the one who is to looking for his own way according to his capacities and vocations. Unfortunately we do not believe that there is a formula. What yes that is clear is that it has finished the time in which to be titled in something was a guarantee to have a stable work. Nowadays it is not sufficient, the specialization is almost indispensable. That probably is the option in the one that is possible to obtain a few worthier conditions of work at this moment. It is very hard when the motive is the need, since it it is in most of the cases, but also it is very hard to continue trying to survive here in this situation. Uncertain. We are sure that it departs from the solution it is to believe what you do and because of it we continue here. Now then, up to where we see every time it is going to be more complicated to be kept as independent architect, since we tend to a market increasingly competitivly, rapidly and changeablly in that there seem to be two trends: the specialization or the integration in big companies. Alberto Quintáns during GA Santiago’s itinerary. 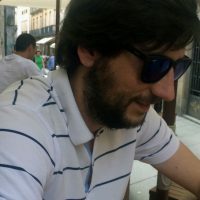 Interview realized by Ana Barreiro Blanco and Alberto Alonso Oro. To be grateful for Cristina, Camino and Alberto to him his time, patience and his predisposition with this space.